“Top gear always thrills” isn’t it? Going on a superfast highway like Ahmadabad-Mumbai highway always thrills an automobile enthusiast as we don’t have to shift gears again and again , we can go directly on a top gear which gives us the smooth and thrilling driving experience so let’s just ponder isn’t it ‘icing on the cake’? if along with the amusing driving experience we can also get the better fuel economy with minimum operational wear and tear while going on long high speed highways, sounds good right? 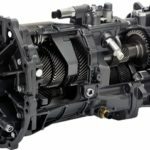 So today in this article we will discuss about the transmission component that does that for us, so let’s just dig in. An Overdrive is a component of a transmission system which is attached at the end of the gear box in order to provide highest gear output with minimum engine input which in turn makes the drive smooth and more fuel efficient. 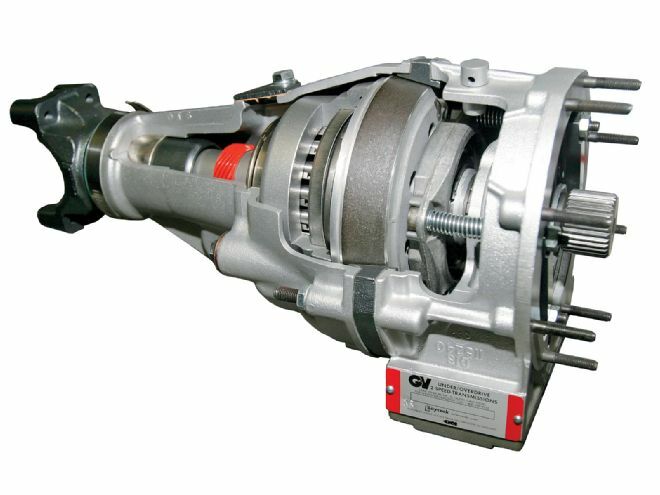 It is an arrangement of sun and planetary gear which are arranged in such a fashion that when overdrive is enabled, it provides high rotation per minute to the output shaft with reduced engine rotation per minute which in turn provides smooth, noise free and high fuel economy to the vehicle. 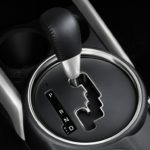 In some vehicles like KTM Duke 390 it is said that the top or 6th gear is the overdrive gear. When we go on a long drive we shift our drive to the top gear which is said to be the direct drive, which means that the final output shaft is rotating at the engine’s rpm which in turn somehow increase the load on the engine’s shaft, so an overdrive can be used with the transmission box which can reduce engine’s load and provides high speed (higher than engine’s rpm) during a long run. 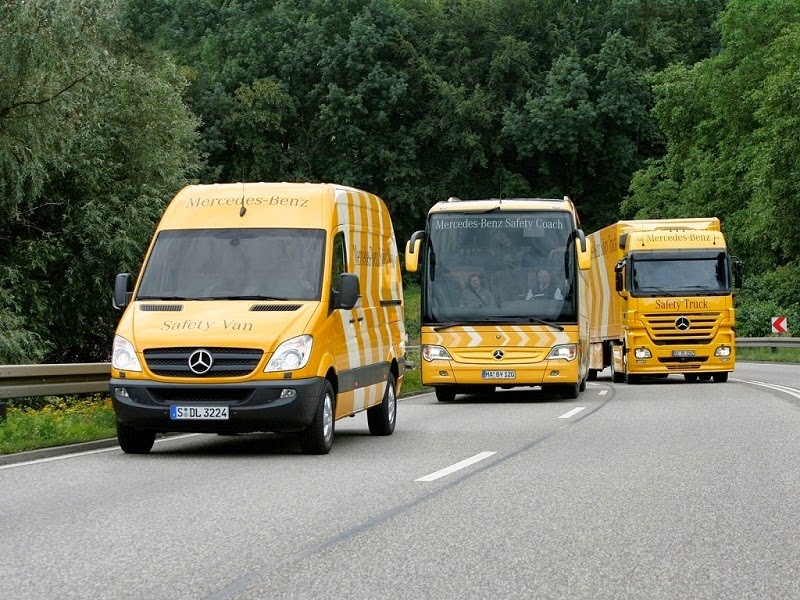 Fuel economy is the first priority of the middle class people in countries like India, as overdrive reduces the engine’s load (as discussed above) so it is obvious that with decreased engine’s load we get better fuel economy. 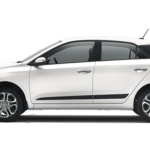 In high end cars like Audi A6, Mercedes E-class , luxury and smooth riding experience is the priority which cannot be compromised , so these cars having automatic transmission is equipped with overdrive which make them more luxurious. As the engine’s load is reduced with the use of overdrive which in turn reduces the wear and tear of the engine as well as transmission box, so we can say that using overdrive also reduces the maintenance of the automobile vehicle. If we talk about the performance, overdrive is said to provide 30% more rpm than engine’s rpm . 1. Ring gear- It is a type of gear which is in a shape of ring having internal teeth and is responsible for transmitting the final output through the connected output shaft , Annulus or ring gear is an outer cage of an overdrive whose internal teeth are to made to be in meshed with the planetary gears. 2. Sun gear- Same as our solar system, a sun gear is the centermost gear of an overdrive around which the number of planetary gears revolves in a direction guided by the ring gear or annulus. The outer teeth of sun gear are made to be in mesh with the planetary gear and the power output from the splined input shaft meshed with the inner splines of the sun gear is transferred to the planetary gear later to the ring gear through the sun gear. 3. 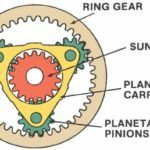 Planetary gears- Same as the solar system planets, planetary gears are the number of gears which revolve in between the sun gear and ring gear through the teeth which are made to be in meshed with both sun and ring gear. These planetary gears are mounted or attached over a carrier through their central axis. 1. 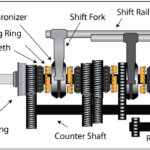 Input shaft- In an overdrive solid cylindrical having splines cut over its surface is used as a input shaft which carries input from the transmission box into the overdrive for further direct drive or higher rpm drive. The splines of the input shaft are made to be in constant mesh with the sun gear’s inner splines or in other words, sun gear is mounted over the splined input shaft. 2. Output shaft- It is a solid cylinder shaft which is used in an overdrive and is responsible for the transfer of final output from the overdrive to the differential through a propeller shaft. 3. Carrier – A carrier is a device used in overdrive, over which the planetary gears are mounted, in other words a carrier as the name suggest is a support provided to the planetary gear through there axis so that they can rotate about their axis as well as can also revolve around the sun gear. The carrier is itself mounted over the splined input shaft same as the sun gear. The working of an overdrive depends on the same principle as any of the other sun and planetary or epi-cyclic gear arrangement like automatic gearbox i.e the fixing of any of the sun or planetary or annulus changes the power output of the drive. 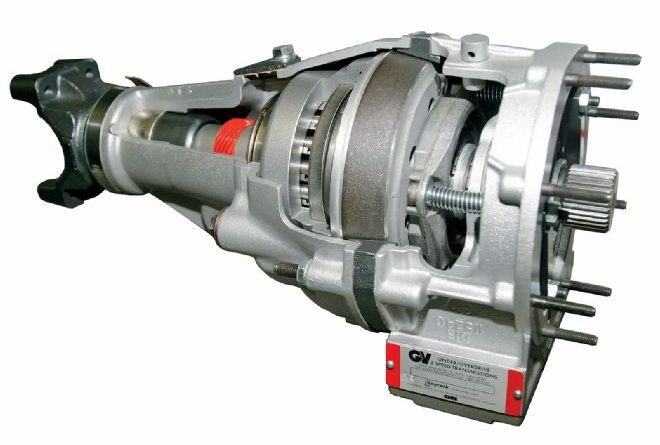 Overdrive Disabled – When overdrive is disabled the input shaft passing through the sun gear rotates the sun gear which in turn rotates the constantly meshed planetary gears and then these planetary gears rotates the annulus and direct drive (same as input shaft rpm) is obtained. Overdrive enabled- When driver enabled the overdrive, the sun gear becomes fixed which mean the annulus is now rotated by the planetary gears or in other words now the input from the input shaft is now transferred through the planetary gear to the annulus due to which overdrive is obtained, which means now the output shaft rotates with the higher rpm than input shaft due to the higher reduction ratio of planetary gears and annulus. 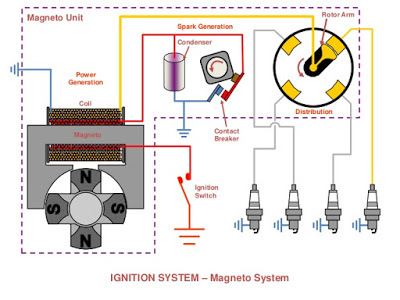 In this article we have learnt about what is an overdrive and how it works in a vehicle with its constructional details. 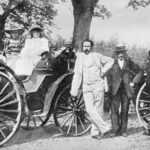 I hope you have gained some valuable knowledge from this post. If you like this piece of information than don’t forget to like and share it on social networks. ← What is Quenching Process And Why it is Necessary?